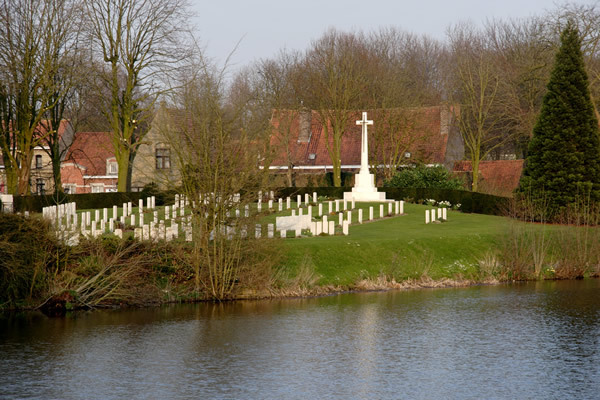 Ypres receives many thousands of visitors every year. 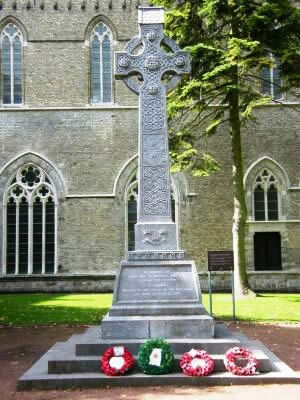 Many come to pay their respects to the soldiers of all nations who fought and died in the salient. 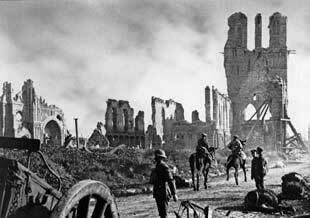 The town of Ypres (Ieper) has a fascinating past stretching back hundreds of years. 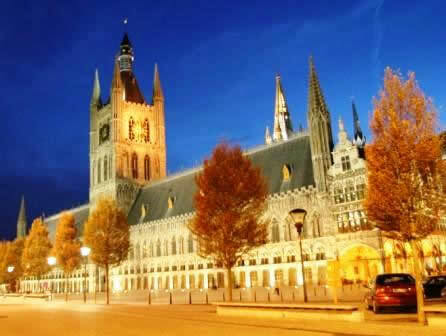 On this easy stroll around the town we study in chronological order the historical events that have forged Ieper into the mecca for the battlefield visitor. The tour commences with a general overview of the town’s historical past and growing wealth from the cloth trade. 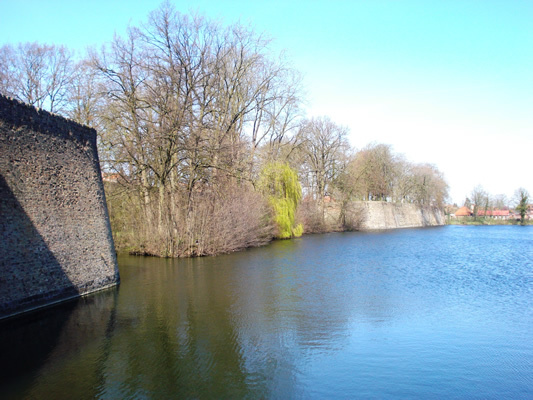 We walk along the ancient ramparts and discuss the evolution of permanent fortifications and their significance during the Great War. 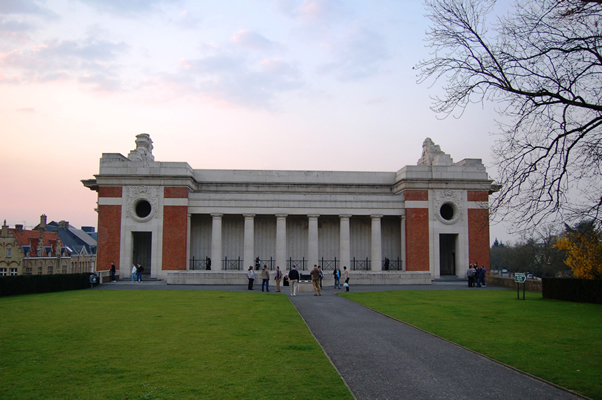 Next we visit the impressive memorial of the Menin Gate. There are myriad stories to be told about this monument from its construction in the 1920s, opening in 1927 and pilgrimages over the past eighty years. 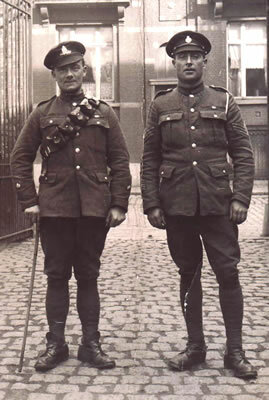 Its stone panels list nearly 55,000 Commonwealth soldiers who died in the salient and whose bodies have been lost or never fully identified. The tour continues across the Grote Markt. Here we talk about the famous Cloth Hall and St Martin Cathedral. The tour concludes at St Georges Memorial Church, built for the English speaking population of Ypres that stayed behind after the war. 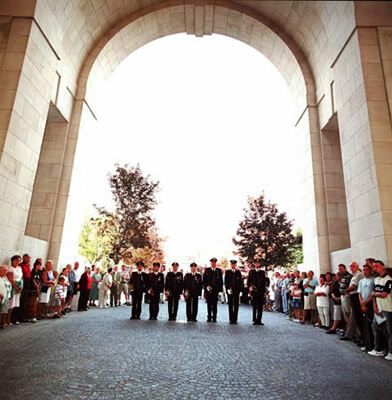 It quickly became a focal point for individual and regimental memorials. 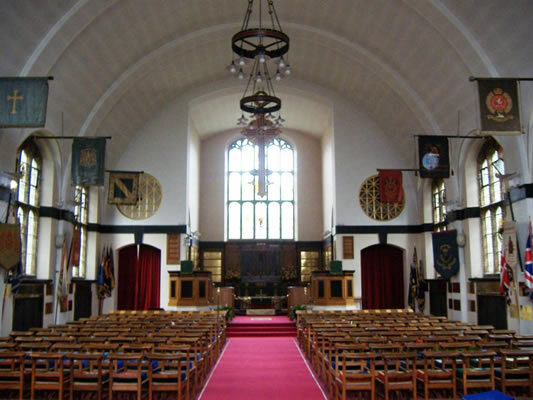 During the Second World War children from the church school took part in the war effort to defeat Hitler. Your guide has a wealth of knowledge and will convey to you some of the incredible stories of this historical Flemish town. This walk can be extended or shortened depending on your request. 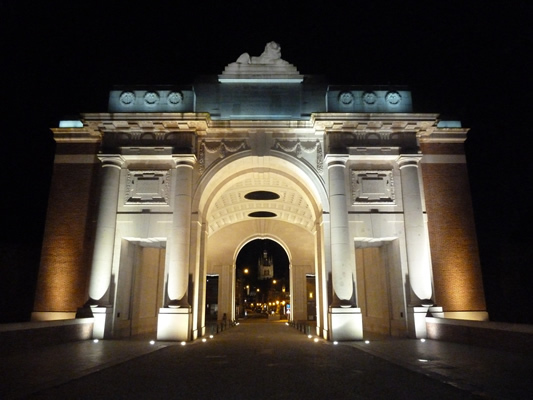 It can also be added to one of the other Ypres walking or vehicle tours possibly first thing in the morning or early evening.